The North American steel market in 2012 is expected to mirror 2011 in many ways. Demand growth is forecast to be steady, but will remain vulnerable to economic shocks, similar to that experienced last year. Economic reports are pointing to declining unemployment and stronger manufacturing activity, both key to sustainable recovery in steel consumption. Steel mills are reporting stronger demand in the first quarter from most of their key end-use industries in a positive sign for steel markets this year. Although steel demand has increased in early 2012, both through inventory rebuilding and improvement in underlying demand from a number of key consuming industries, underlying cost pressures are a key factor in the upturn in steel prices thus far this year. Meanwhile, domestic steel mills are increasing production in response to higher prices, but if output rises in excess of demand, prices could reverse. 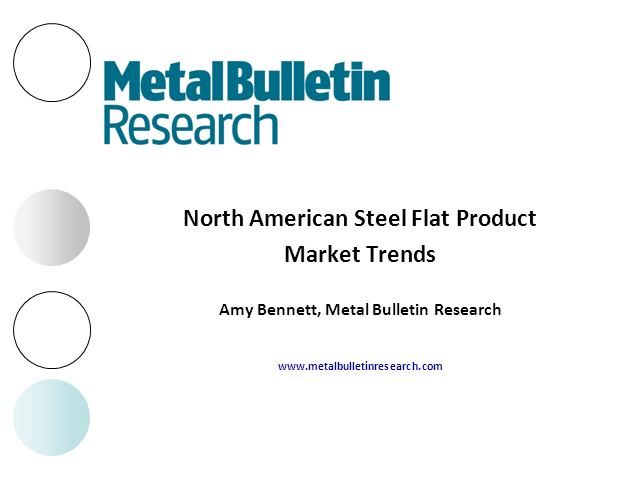 We will assess these market factors and present our 2012 forecasts for North American steel flat product prices.